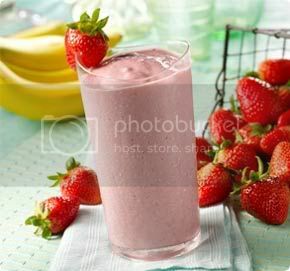 Nothing beats a lovely afternoon with a yummy strawberry and banana milkshake. Yumyum, too bad we’re out of natural strawberries now. I found out some of them were about to rot, I got rid of those instantly leaving me to a very few strawberries. But oh well!